Where To "Shine" in the Smokies - Bear Camp Cabin Rentals. Look, there’s two kinds of “shine” in this world – a vaguely psychic power as introduced to us by Stephen King and the kind of “shine” which brings a lot of people to the Smoky Mountains nowadays. You know what we’re talking about: Mountain Dew! White Lightning! Hooch! Blue Ruin! Some years ago, the Smoky Mountains became home to the first legal moonshine distillery in the state and to say it was a big hit really, REALLY undersells it. 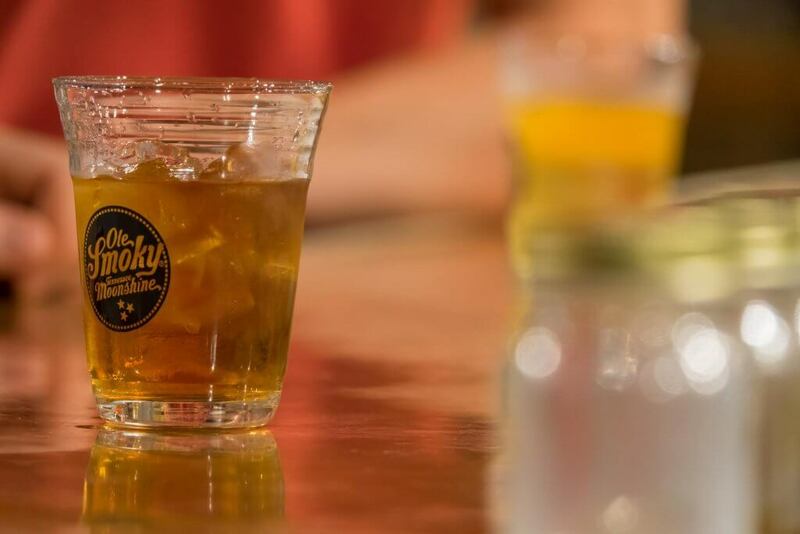 A lot of the new developments you’ve seen in the Smokies for at least the last half decade can be traced back to the tourism brought in by the now-established spirits industry that came very shortly after. Now you can barely throw a stone in any direction without hitting a distillery (which, yeah, don’t do that – they might explode) and those who have become fans of the many, many kinds of moonshine available in Pigeon Forge, Gatlinburg and Sevierville, as well as those who haven’t been here to check them out at all will find something useful in today’s article where we detail for you where you can get your “shine” on here in the Smokies! Flavors: Moonshine Cherries, Moonshine Peaches, Harley-Davidson Road House Customs, Blue Flame, Lemon Drop, Hunch Punch Lightnin’, Apple Pie, Pineapple, Mountain Java and more! Flavors: 1830 Original, 1830 Original Distiller’s Blend, 1830 Original Miller’s Blend, Chocolate, French Toast, Coffee, Blackberry, Lemon, Apple Pie, Peach, Cinnamon, Vanilla Bean and more! Flavors: Muscadine, Honey-Do-Me (!!! ), Small Batch Corn Whiskey, Apple Pie, Blue Houdini, Small Batch Rye Whiskey, Moonshine Cherries, Coffee, Moonshine Peaches and more! Flavors: Sweet Tea, Peach, Apple Pie, Chocolate Silk, Strawberry Shortcake, Orange Cream, Lemon Lime, Butter Cake, Ginger Snap and more! Flavors: Apple Pie Moonshine, Blackberry Moonshine, Grape Moonshine, Coffee Moonshine, White Lightning – Tennessee Moonshine, various whiskeys, and creams. Flavors: Tennessee Frost, Apple Pie, Autumn Flame, Banana Shine, Blackberry Bramble, Cinnamon Bonfire, Little River Cinnamon, Pumpkin Patch, Red Haven Peach and more. Flavors: Silver Cloud Tennessee Sour Mash Jar, Mint Condition Peppermint, Jim Tom Hedrick’s Unaged Rye, Mark & Digger’s Rye (Apple), Root Beer, Pina Colada, Appalachian Apple Pie and more!